More old web images rescued! 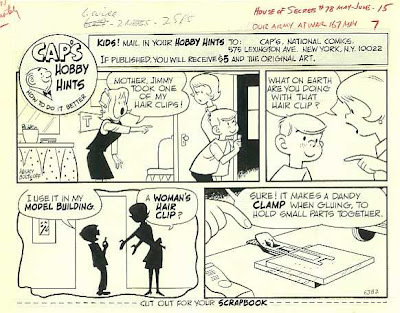 These are shot from the orignal art for four "Cap's Hobby Hints" pages by Henry Boltinoff. 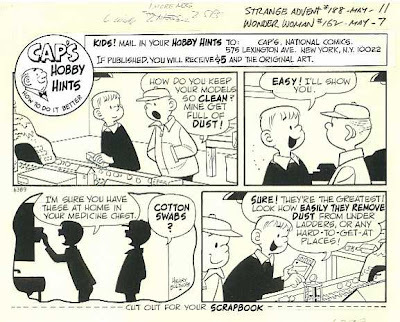 This feature ran in DC comic books for several years in the early/mid 1960s. Henry was the brother of DC editor Murray Boltinoff. 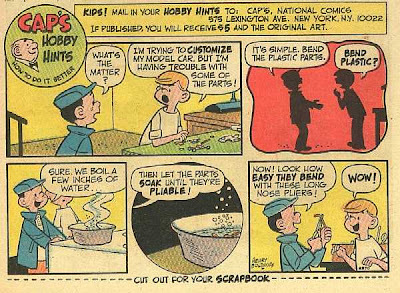 Aurora, AMT and other model kit companies were regular advertisers in DC's comics at the time. 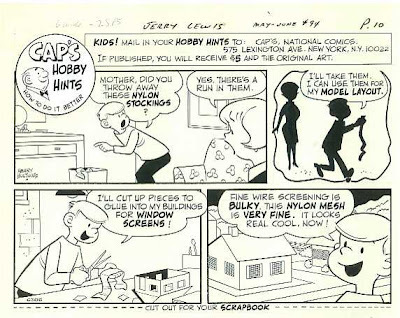 Supporting kids' interest in the modeling hobby was a smart move on DC's part. 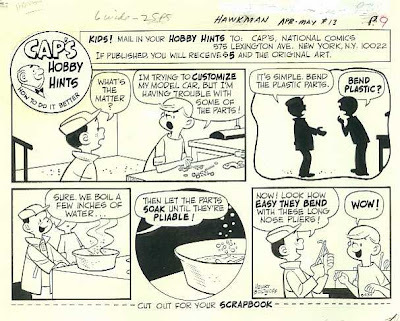 Cap often gave hints for model railroading and slot car racing as well. You can see the title and issue number of the comic book each strip ran in, at the top of each original. How many of these did you read, way back then? Here's the published version of the original strip above. 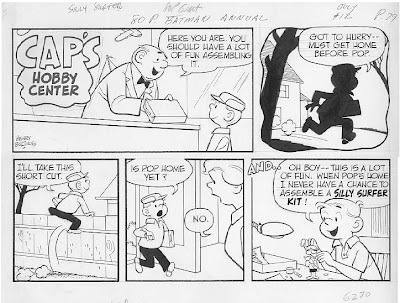 Here's a CAP'S page that was auctioned on eBay -- from VERY early in the series, when it was called CAP'S HOBBY CENTER -- and, no, I wasn't the seller, OR the winning bidder (darn it!) -- unusual in that the kid is actually building a figure kit -- looks like Hodad from the SILLY SURFER line! oh Man do I remember these in the comics....awesome. Sorry to hear of his passing. So many we don't get to know. And then they are gone.